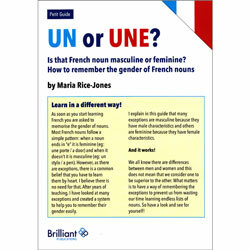 People often shy away from teaching French grammar as they feel it will be boring and involve lots of memorisation. 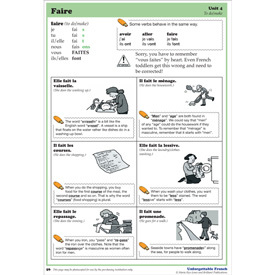 But when the focus is on looking at what things have in common, then telling or making up stories to help them remember, the learning becomes fun and the ideas stick in the brain. 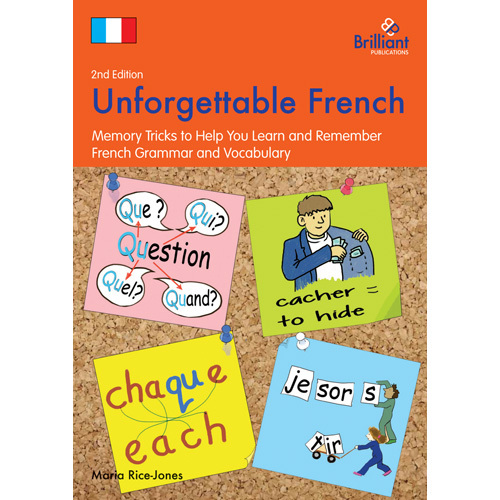 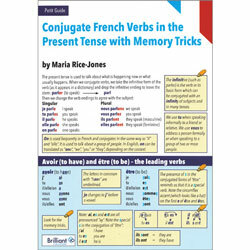 Unforgettable French is a handy book that is packed full of memory tricks to help your pupils (and you!) 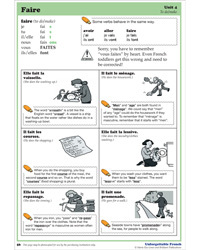 to learn and remember key grammatical points. 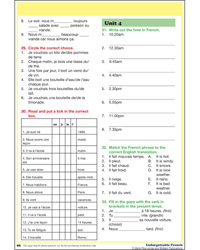 The attractive, fully photocopiable sheets can be handed out to pupils, made into mini-posters, or just used as aide-memoires. 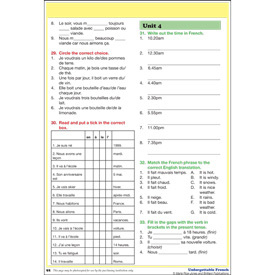 This resource has been developed for use with children at primary school (KS2) but would also be suitable for KS3 special needs. Click on the image below to download sample pages from Unforgettable French.